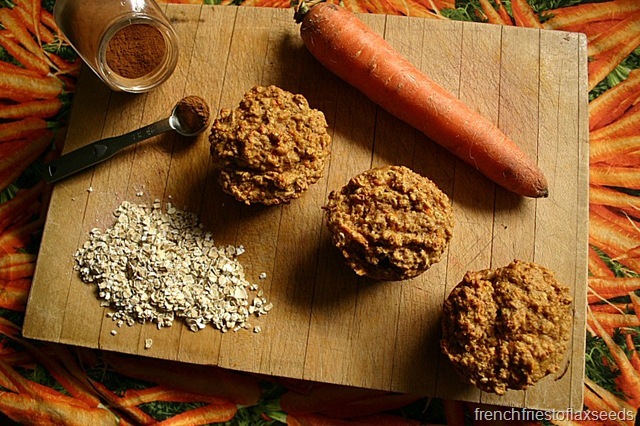 These muffins came to be when I found myself with a handful of carrots looking a little worse for wear hiding in the back of my fridge. I’m not entirely sure how they migrated back there, but they were crying out for some love. 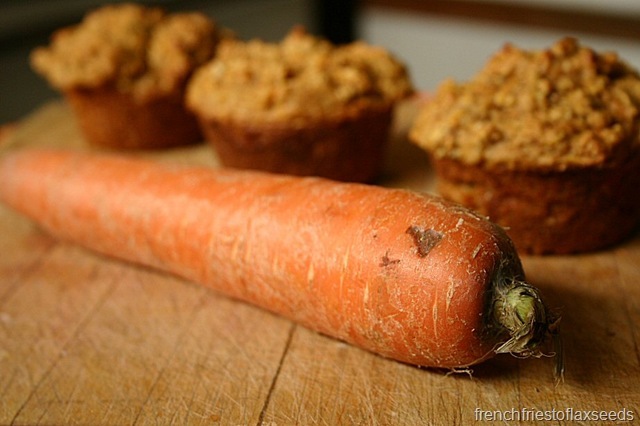 So I thought a simple carrot muffin would be the perfect way to avoid throwing them out. 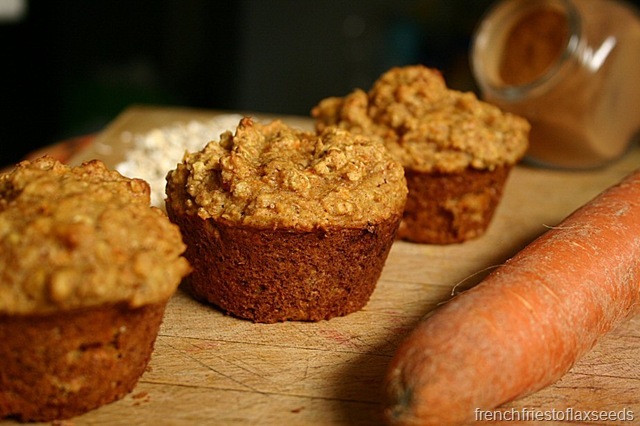 I decided to keep these muffins fairly simple, without an array of competing flavours. 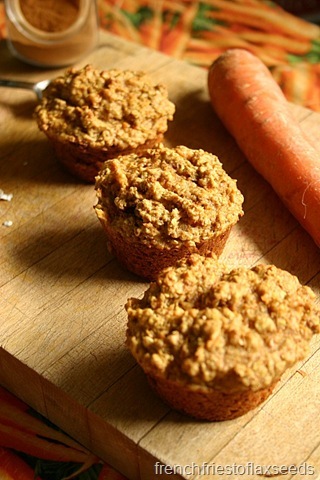 Partly because I’ve just been craving simple eats, and partly because I know the boyfriend likes plain carrot muffins. Aren’t I nice? That being said, they are the perfect carroty canvas to jazz up with say, raisins, walnuts, citrus zest, or whatever else floats your boat. 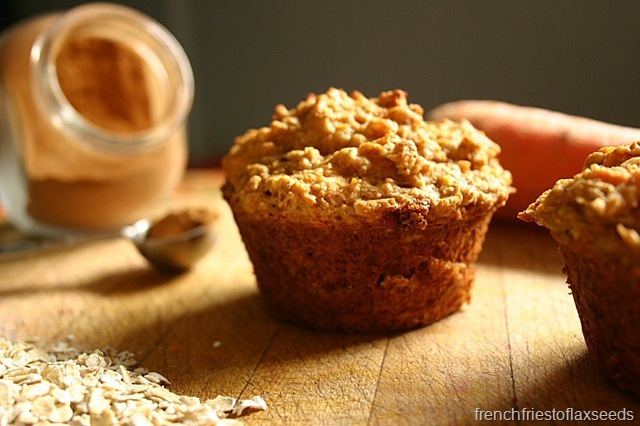 The oats add a little extra staying power to these whole grain muffins. I used coconut sugar (my new baking ingredient to play with), but you could definitely sub in brown sugar, or even white sugar. So get your graters out, heat up the oven, and get your bake on! 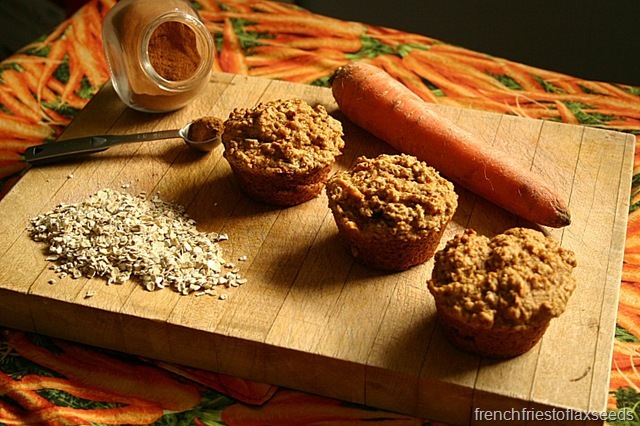 A simple whole grain muffin featuring the natural sweetness of carrots. Subtly spiced with cinnamon and nutmeg, they make a great for a snack or part of a well balanced breakfast. The perfect canvas for add ins such as raisins, walnuts, pineapple, or even orange zest. 1. Preheat oven to 400 degree F. Lightly grease a muffin pan, or use paper liners. 2. 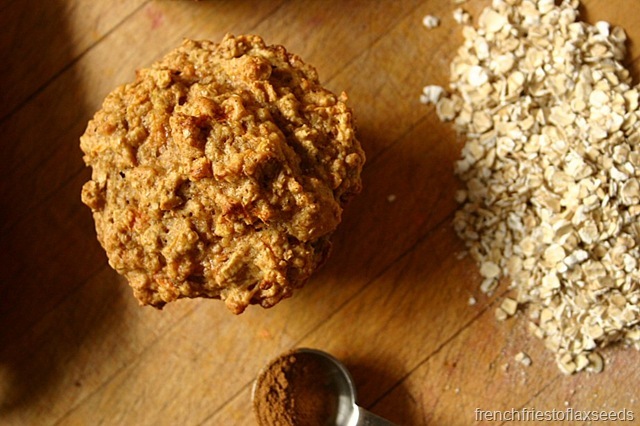 In a large bowl, combine flour, oats, sugar, baking powder, baking soda, cinnamon, nutmeg, and salt. Stir to combine. 3. In a medium bowl, combined milk, yogurt, egg, olive oil, and vanilla. Stir to combine well. 4. Stir shredded carrot into wet mixture until just combined. 5. Add the wet ingredients to the dry ingredients, and mix until just combined. It’s okay if there are a few lumps. 6. Evenly portion out the batter between the 12 muffin cups. Bake for 18 – 20 min, or until a toothpick inserted in the centre comes out clean. Note: Depending on the size of your carrots, you may get more than 2 cups of shredded carrot. Feel free to add it all in – you’ll still get a great product. These muffins look absolutely delicious! My mouth is watering right now! Om nom nom. These look delicious. I love muffins, gonna add these to my “to try” list. You should write a muffin cookbook…. I could call it Marianne’s Muffin Mania! Ha! Funny, how I have 2 slightly limp carrots sitting in my fridge right now. These look great! It’s a sign it’s time to make muffins! I think there are worse things to be addicted to. 🙂 Especially when it comes to muffins that sound this good. I just bought some coconut sugar for the first time, but I haven’t baked with it yet. I love the flavor.